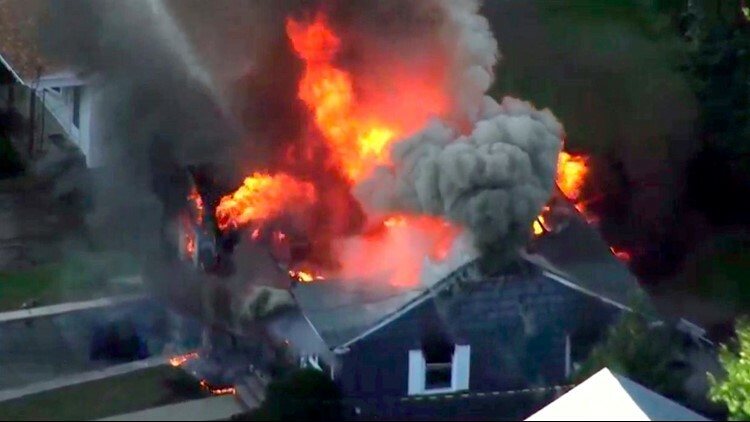 In this image take from video provided by WCVB in Boston, flames consume a home in Lawrence, Mass, a suburb of Boston, Thursday, Sept. 13, 2018. Emergency crews are responding to what they believe is a series of gas explosions that have damaged homes across three communities north of Boston. 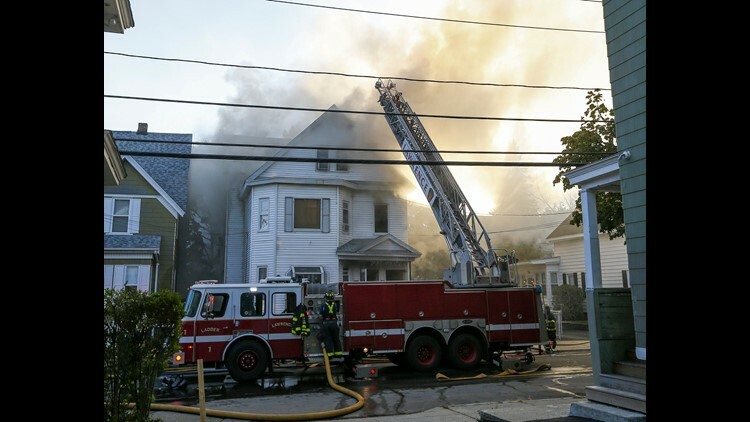 Firefighters battle a fire in a house in Lawrence, Mass.